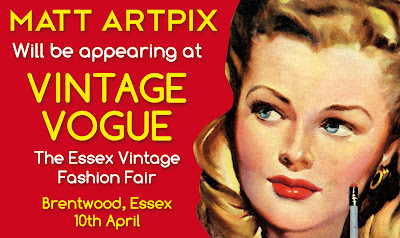 I'm extremely proud to announce that Matt ArtPix will be at the next Vintage Vogue on April 10th!! This prestigious event is Essex's biggest and best Vintage Fashion Fair. Held at Middleton School in Brentwood, it's a fabulous feast of fashion, with everything from the 1920s to the 80s. It's a chance to be dazzled by the best vintage clothes around, dance to the tunes of yesteryear, and munch on traditional tea and cakes in the café! I have a stall in a prime location within the hall, so come along, get vogueing and say hello! I'll have fashion inspired pix and a whole lot more!! Matt ArtPix will be appearing at the Leigh-on-Sea Vintage and Handmade Fair on Saturday 26th March! 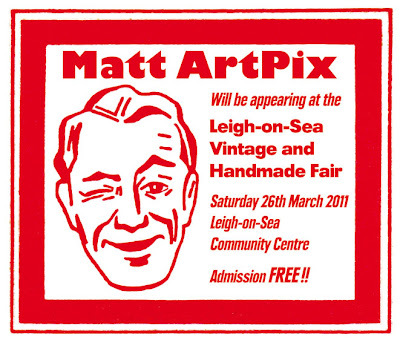 This brilliant fair is held at the Leigh-on-Sea Community Centre in Elm Road and is absolutely FREE to get in!! So come along for some vintage fun!! Hopefully some more dates will be announced soon, will keep you posted! BREAKING NEWS! NEW WEBSITE NOW ONLINE!!! Matt ArtPix is proud to announce the opening of my new website! 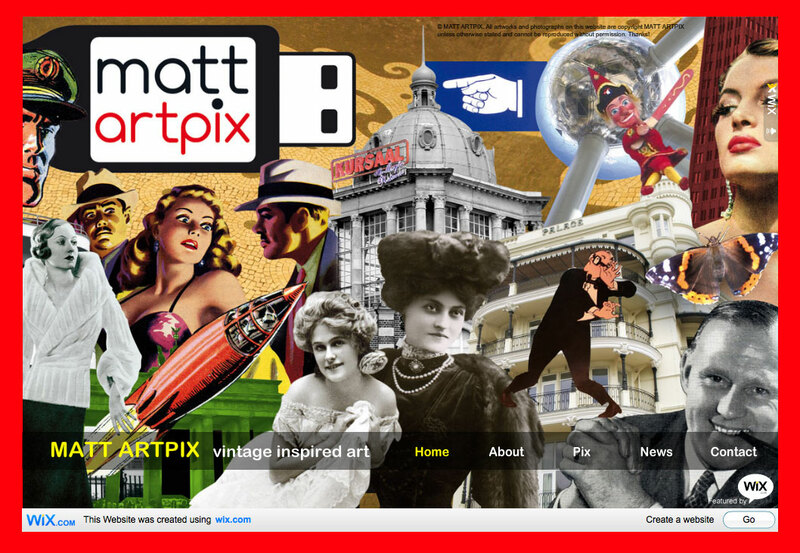 You will now be able to view my work in galleries. Set out into 5 categories, just choose your favourite subject and off you go! 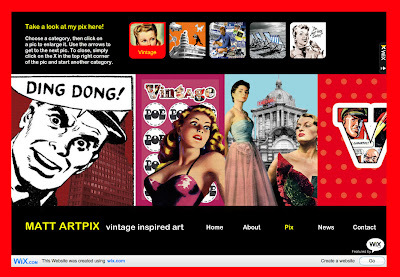 VINTAGE: My vintage inspired artworks, that mix everything from Victorian to 1960s. ARTWORK: Modern collages featuring photos I've taken in cities like Berlin, Brussels and Prague. 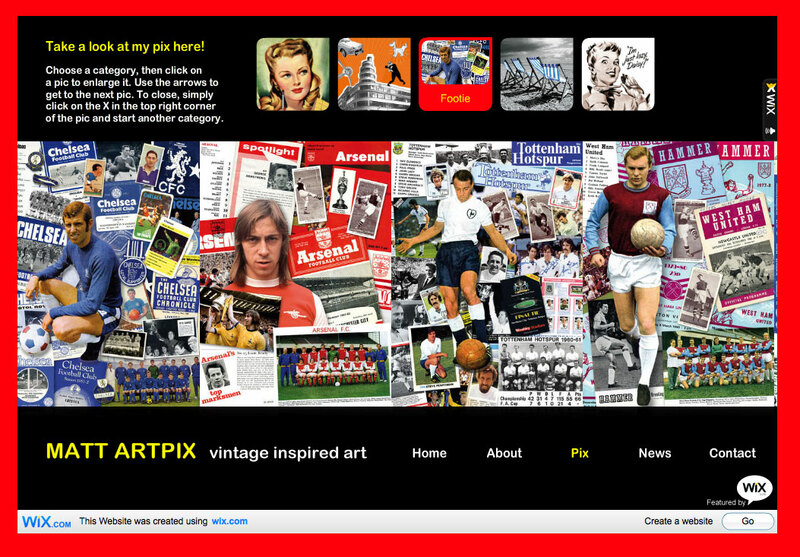 FOOTIE: My very popular Retro Football range, collages of memorabilia from your favourite teams. PHOTOS: A selection of photographs I've taken, some with effects added to. FUNNIES: A fun section of vintage pictures and adverts I've discovered. 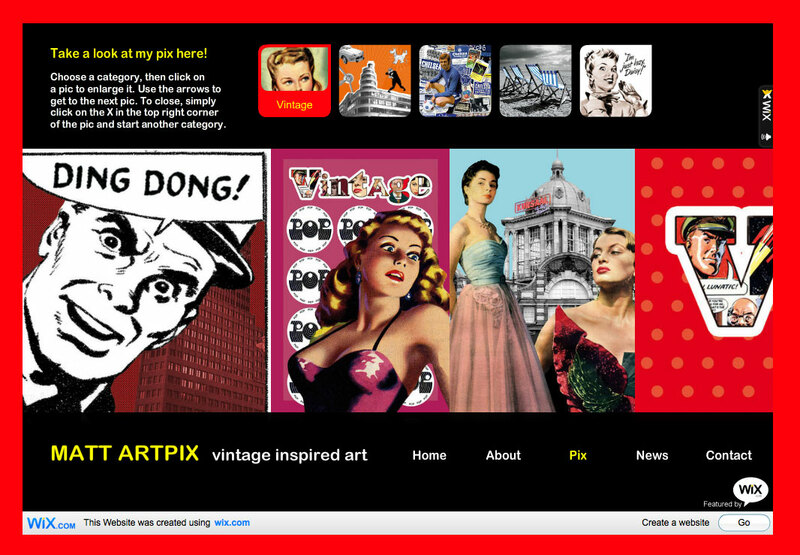 This is the Pix section, click on the icons for a few surprises! 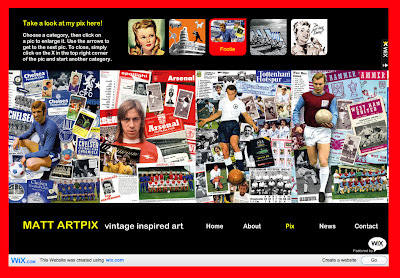 The ever popular Retro Football collages! There is also a NEWS section to keep up with the latest developments! 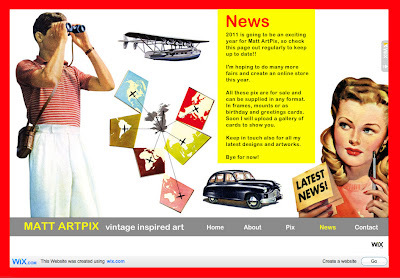 So don't delay, have a look now! !